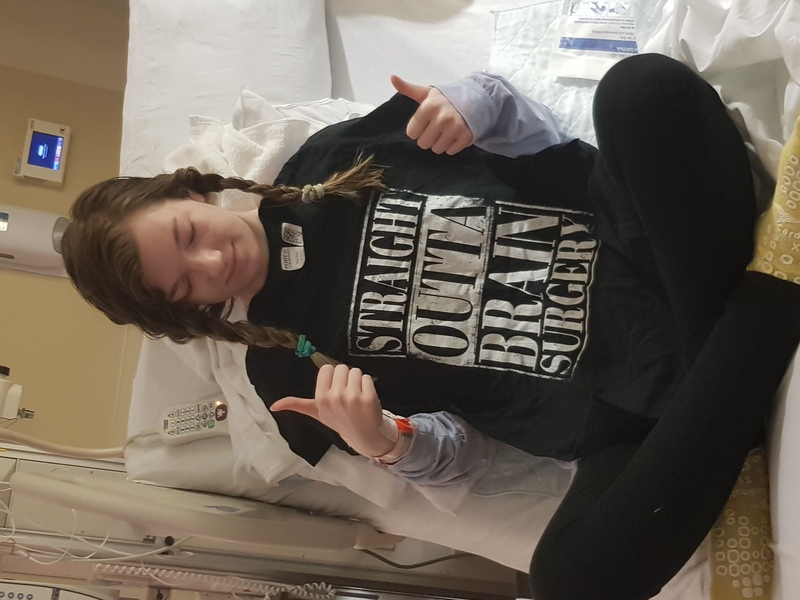 Fundraiser by Jessica Rabideau Stevens : Kaylee needs a brain operation! Kaylee needs a brain operation! On March 4, 2019 Kaylee, Josh, and myself will board a plane and head to Houston Texas for the second time. 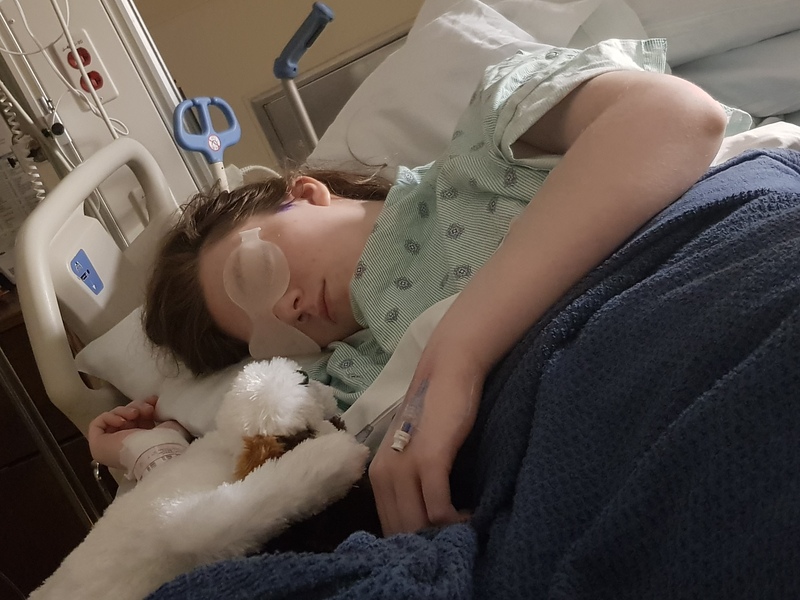 This will be the trip where Kaylee will undergo a craniotomy and complete resection and removal of a pineal region cyst/tumor and a possible resection and removal of a second tumor behind her right eye. How did we get to this point you may ask? Here is a little backstory. ￼ In 2007 at the age of five years old, Kaylee started experiencing headaches. She was referred to UVM in Burlington, Vermont to the Neurologist. At that time they suspected it could possibly be her vision so an eye exam was made and glasses were given. The headaches continued through her childhood and into her teenage years. By the age of 14, the headaches had become debilitating and were now coming with stroke-like symptoms ( face drooping, slurring words, etc.) We were terrified. The pain had gotten so severe she would sometimes scream from the bathroom because she couldn’t get off of the floor or out of the shower. She was passing out, her legs would give way from underneath her, she was dizzy, experiencing extreme visual changes, sometimes losing her vision completely for brief moments, sleeping 18 hours a day or sometimes not at all, ringing in her ears, and suffers from constant head pressure. She just could not function through her daily life. I called her pediatrician ( he has been AMAZING through all of this) and he got her right in for an appointment. She was referred to UVM pediatric neurology who got her in for an appointment right away. During this appointment, the neurologist noticed she had ptosis( dropping eye) weakened reflexes on one side and nystagmus(shaking of the eye). Her thoughts at that time were that she was having some sort of seizures so an MRI and EEG were ordered. July 14th, 2016 an MRI was done. On July 15th my cell phone rang. The caller ID indicated the call was from Burlington. I took a deep breath and answered the call. ￼ It was the neurologist from UVM explaining to me that she believed she now knew what the cause of Kaylee's symptoms was. I quickly tried to mentally prepare myself for what she was about to say. Her next statement was that Kaylee had a sizable cyst of the pineal region measuring 15x14x11mm and she would now need to see a neurosurgeon. She also explained that the cyst is deep within her brain and is causing mass effect on the tectum (The quadrigeminal plate, also known as the tectal plate or tectum, is the portion of the midbrain tectum upon which the superior and inferior colliculi sit. The tectum is the dorsal portion of the midbrain (brainstem) and is derived in embryonic development from the alar plate of the neural tube. Masses in the region of the tectum can cause obstruction of the cerebral aqueduct resulting in obstructive hydrocephalus). I was devastated and could do nothing but sit in my car and sob, but for her, I needed to get it together and be strong, as strong as she was. When we saw the neurosurgeon, she explained that typically these cysts don't cause problems unless they are in fact causing hydrocephalus. I’ve now come to learn that this is in fact not correct, and they do and can cause debilitating symptoms, especially at larger sizes but symptoms don’t always correlate with size. I’ve also learned that the reason this is thought to be the case is because not much about this is taught in medical school and what is taught is old knowledge. There we were, back at square one. We continued to frequently travel to Vermont where I would explain her symptoms were worsening every time. We would then be given another medication to try. This would make number 9. At one and our final appointment before refusing to return, I explained that Kaylee was now sleeping 18 hours a day, missing school and that we now were dealing with a CPS hotline for educational neglect because of it. The response we were given to that was that she thought Kaylee was depressed and we should start her on Prozac. Well yes, she probably is a little depressed, she CANNOT FUNCTION and has little quality of life most days. I called her pediatrician from the parking garage, and explained what had just happened. He assured me he would help in any way he could. To start he would try a medication to treat her pain and control the headaches as well as referring her to A neurologist at Albany Med. Once we got the appointment in Albany the Neurologist there( with it having her MRI images because they were never sent from Vermont) explained that although yes, sometimes these cysts do not cause symptoms, they certainly can. He described it as basically a foreign body in your brain. Unfortunately, treatment would only be done in the case of hydrocephalus. Back at square one again. We continued to try and treat her pain and other symptoms with no luck. Finally, her symptoms had gotten so bad that she was losing vision, optic nerves and disks are now tilted, the pain was excruciating, she was struggling with memory and speech problems, the headaches were there every day, and still all the other previous symptoms as well. This brought us back to the pediatrician who requested a new MRI be done. 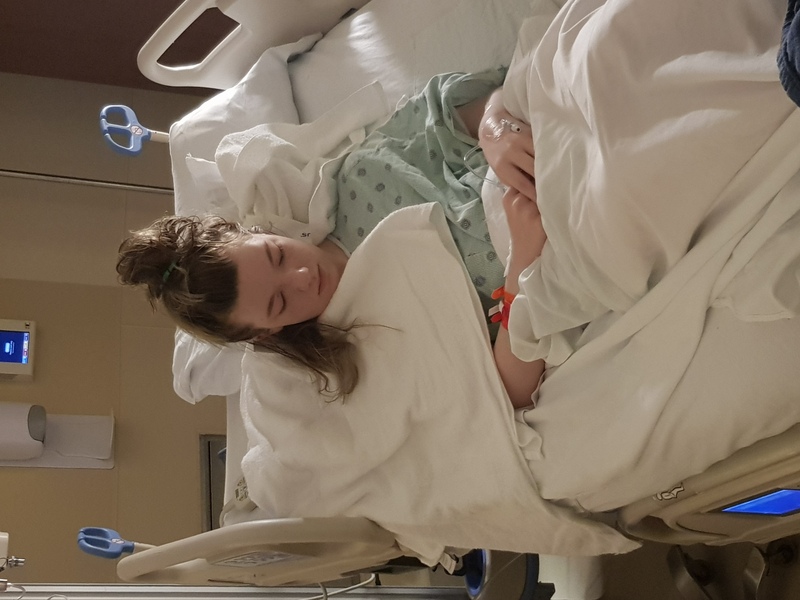 In the meantime through this whole process, I had already been doing as much research as I could on her condition, reading case study after case study, medical documents, and anything else I could find. 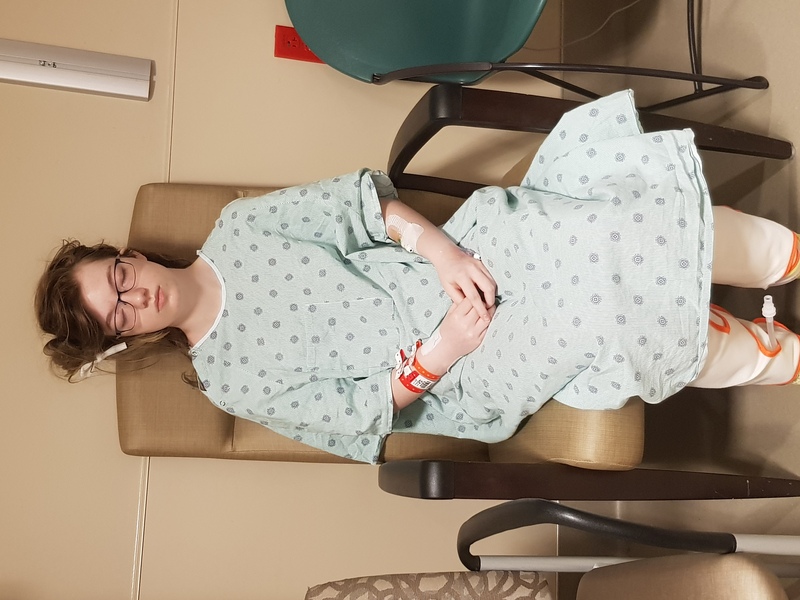 I came across the blog of a young lady who also suffered as Kaylee does. I stayed up most of the night reading the entire blog. It was as of Kaylee had written it. Through her blog, she mentioned a surgeon and a Facebook support group. I immediately went and found that group. I started reading the stories of others, like Kaylee, who were living the same hell. I saw the same surgeon mentioned in the blog also mentioned in this group many, many times, Dr. Kim. I learned that he was one of a handful of surgeons in the US currently who treat these types of cysts/tumors. I finally decided it was time to reach out. I called. 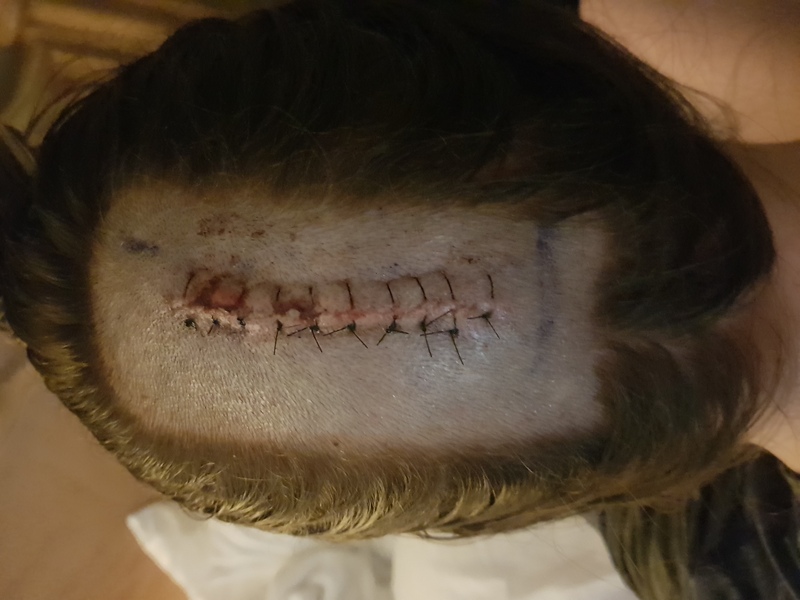 http://neuro.memorialhermann.org/pineal-cysts/ After speaking with his office I was instructed to send all of her medical records and scans for him to review. From there he would determine whether he would see her or not. I got the call on October 31 that he would in fact like to schedule an appointment to see her. Wow, the first sigh of relief. Someone who may be able to help her, because as much I wanted to do more for her, there was nothing I could do other than what I was already doing. We were scheduled for December 11. I just knew I was headed in the right direction. This is what he does, this is one of his areas of expertise. He is the director of the Neuroscience Institute. ￼ New MRI was completed on Friday, November 23. I anxiously waited for those results. Monday, November 26, I received an email from her patient portal that a new test result had posted. I logged in and with Kaylee we began to read. Her cyst was now 17x17x15mm, and she now had brain lesions in 2 parts of her brain. Again, devastation. I couldn’t help but cry, reach out to anyone who would listen and ask for prayers. Kaylee had a short cry with her sister and then they sat down and watched a Christmas movie together. I remember thinking, wow what a strong child I have. It felt like December 11th couldn’t get here fast enough. December 10th we boarded a plane and off to Houston we went. December 11th it was finally time for us to see Dr. Kim, the surgeon we had read so much about. I felt as though we were waiting to meet a movie star. First, we saw his colleague Dr. Hsu. We went over every little detail about symptoms, medications she has tried and any tests she has had done. He briefly left the room and returned with Dr. Kim, who shook our hands and sat down. He was given an entire rundown of everything we had discussed by Dr. Hsu. He asked many questions including if when watching the webinar, she thought it was describing her perfectly and we all responded YES! He then went on to say that he absolutely believed is causing her symptoms as it is large and recommended surgery. He also told us after looking at her scans that he believed she may have a tumor behind her right eye. That threw us for a loop a bit. I grabbed Josh’s hand and tried to hold back the tears. 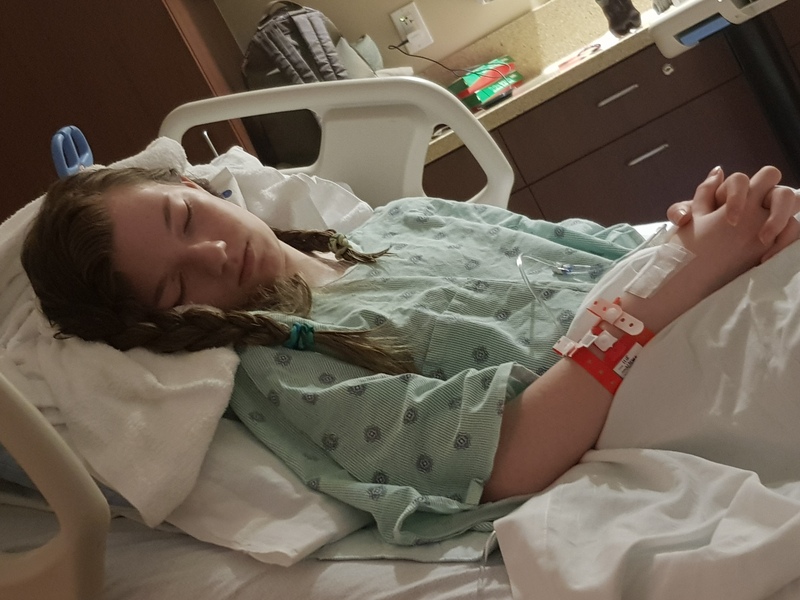 Before our appointment ended he explained she will need a lumbar puncture which she could go back home rather than doing it there and having to travel back home right after as we were flying home the next day. She will also have another MRI with their imaging equipment to confirm the tumor behind her eye(their magnet strength is much greater than it is here at home) when we come back for surgery. We left his office feeling good, yet emotional, and relieved but nervous. It's a lot for us and for her, although she is holding strong, stronger than me. I admire this child. I am proud that after all, she has had to live through, she still manages to hold strong and keep her grades up in school, even through the pain she faces every day. We will need to be in Houston from March 4th until at least March 20th before she is cleared to fly home where her recovery will continue. I hope I didn’t miss anything and I hope this is not too confusing. Continue to pray. She will turn 17 March 31 and will spend her 17th birthday still in recovery from a brain operation. We are seeking help from anyone willing. All funds will be used strictly for any medical and travel costs outside of what we will pay or what our insurance covers. Please help if you can. This beautiful child is destined to do amazing things as the aspiring makeup artist she is and deserves a better quality of life. Some people may think I am crazy and overreacting, and to those people, I invite you to spend a day in her life, our lives for that matter to see for yourself the suffering. I also hope to raise awareness that these things do cause problems and essentially take your life away although you are still living, provide information and give support to anyone going through this. Please help us give Kaylee a life worth living. She is a daughter, sister, granddaughter, great-granddaughter, niece, great niece, and cousin and she deserves the best quality of life we together can give her! 11 years of pain is long enough. Thank you so much, from our entire family <3 It takes a village.